Hello Knights and Future Knights! 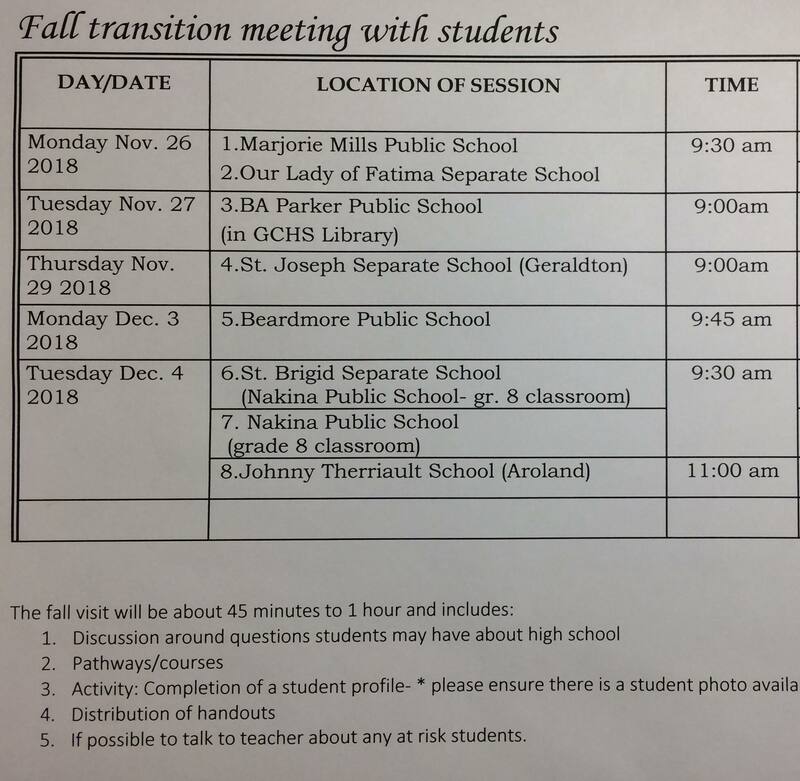 This week, our Transition Team will be heading out to the local elementary schools to complete Round 1 of the Grade 8 transition meetings. They will be discussing potential pathways, completing students profiles, and answering any questions you already have about high school. Make it count! We can’t wait to meet you!